You know what makes your kids think that you're awesome? Getting the chance to test out video games on them. You know what I got the chance to do? 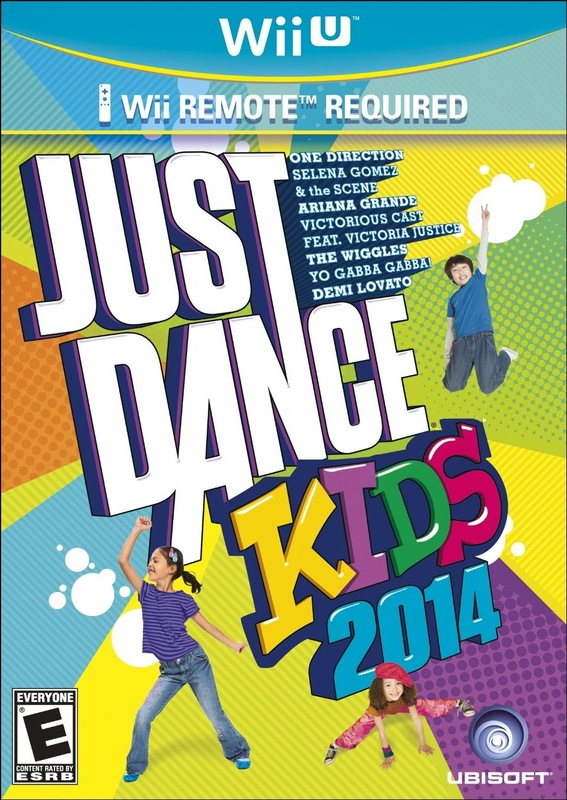 Review Just Dance Kids 2014 (for the WiiU). My test subjects were an assortment of children aged 6, 7, and 10. Only one of them is mine. The other four (four!) are grifters. So my official review method is as follows: allow children to play with thing. Report back as to whether or not children enjoyed thing, and whether or not I, as adult, approved of their enjoyment. This is some assorted children dancing along to Day-O. Me: Would you pick it as your game for screen time? We have played Just Dance before, and the Kids version features (1) more lyrically appropriate songs and (2) easier dance moves. The kid songs are ones that I'm fond of, but the 'test children' involved are exposed to regular pop music and I don't think they really needed the lyrical protection that this game offers. What I do like is that the moves are easier as compared to regular Just Dance games, and it doesn't seem as competitive. I've seen some kids get frustrated with the 'grown up' dance games because the moves go to fast and they get lost. 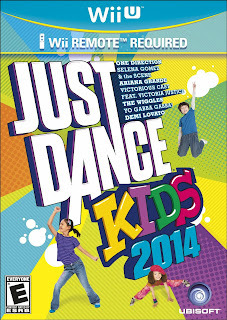 Overall, I would say that this game is great for families who are just getting into the whole dance video game thing, or for families with younger kids. The 6 and 7 year-old test set had a SUPER fun time with this, and it lasted beyond the New Toy Phase. In contrast, I got the distinct impression that the 10-year-olds involved thought that this game was a little babyish, and would have preferred the non-kid Just Dance game. The songs are not unpleasant, if you are, for instance, in the other room trying to ignore your children and get some work done. I like games where I feel like they're getting some activity in, as opposed to the sitting-on-the-couch-and-staring sort of games. So with this I at least feel like they're getting to move they're bodies and bounce out some of their energy, and I don't feel like I have to so much be on hand as editor/language monitor. I have a WiiU, so we tried the WiiU version, but the game is also available for Wii and Xbox 360. You can buy it from Amazon, here (and I note that it's on sale, at time of publishing this post for $19.99; Christmas present time!). Would I buy it? For kids under 8, yes. For kids over 8? I'd go for regular Just Dance. Did the kids like it? Yes. Even the 10-year-olds. We had a lot of fun and got to move our bodies too! Recommend!